Last Tuesday at the Ghost Light Vocal Jam (GLVJ), I had the chance to sit down with the bubbly headliner Shanon Mari Mills during intermission and chat with her a bit about her career and her role as Glinda’s understudy in the national Emerald City tour of Wicked. Shanon Mari Mills was born in Torrance, California. From the time that she was seven, she loved musical theatre. It became her career path when she discovered that a friend of hers was attending California State University Fullerton for a degree in dance. “Originally, I was going to be a speech pathologist, but I looked up the musical theatre program at CSUF and decided it was the path for me.” She earned her B.F.A. in Musical Theatre and soon after graduating worked on stage in roles such as Olive in The 25th Annual Putnam Spelling Bee, Kathy Seldon in Singin’ in the Rain, Ariel in Footloose, and Amy in Mask to her repertoire. 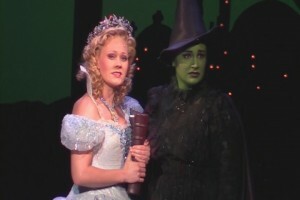 Mills’ path to landing the role of Glinda began in 2006. “Glinda is a role that everyone said I should play,” recalled Shanon, “and when you hear that enough, you sort of follow that path, and say to yourself, yeah, that would be great to play. I started auditioning for Wicked in 2006 when I was right out of college,” but her first audition for the part didn’t land her the role. 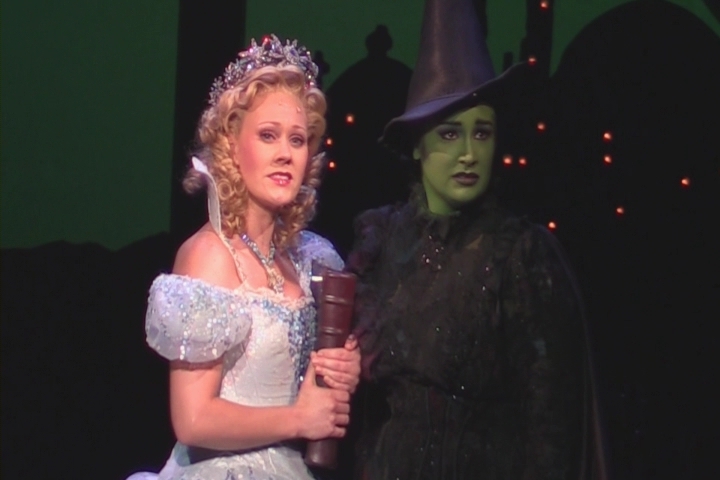 It was seven years later, while in the car on the way to the Aquarium with some friends, when she finally received the call that the role of Glinda’s understudy belonged to her. “I was definitely supposed to do the show when I did it; I have no doubts about it. Had I done it earlier, there are other shows and other things that I wouldn’t have been able to do. The group I was with at the time was definitely who I was supposed to work with, and it was the right time for me to be there. It took a few years, but I think I needed to be older in order to play her [Glinda]. When I was younger, I was too young and needed a little more life.” Now that the Wicked tour has come to an end, Mills says she’s back on the audition train as she spends time with her husband, two dogs, and cat. Click below for an impromptu performance of her favorite song from the show. AND, if you'd like to learn more from this seasoned performer, she will be teaching a Musical Theater Audition Masterclass. Click the link below for more info and to get tickets now.